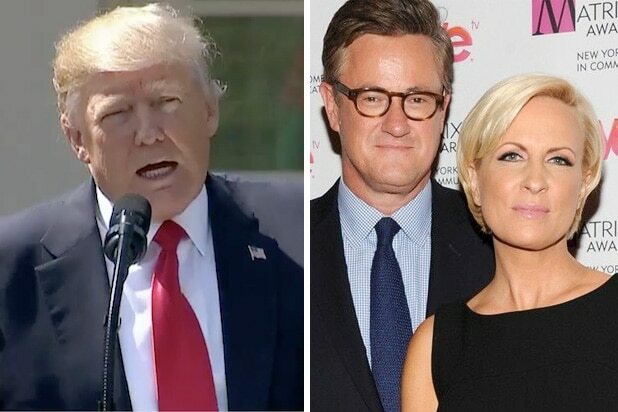 Co-host Mika Brzezinski stopped short of comparing the situation to “Watergate” while discussing the recent resignation of Reince Preibus, and said the president has owned a majority of the administration’s failures because they start with his rhetoric or tweets. “I hate to keep going back to one of my themes over the past six months, but it so important that Steve Bannon is sidelined. It’s so important that general Kelly sidelines Steve Bannon, who plays to Donald Trump’s worst instincts,” Scarborough said. “But they still come out of the president’s mouth,” Brzezinski responded. Scarborough then asked what Kelly can do to bench people like Bannon, who the MSNBC star blamed for Trump referring to the media as the enemy and attacking intelligence agencies.